Do you have fond memories of playing old style platform games, where you didn't have to learn a hundred button combos to play it successfully? Canyon Capers is just for you if that's the case. 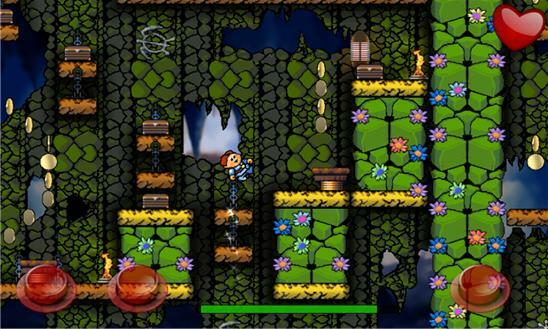 Canyon Capers is a retro style arcade platform game for all ages, created by the authors of the 1992 original. Starring Dino-Jr and his many friends as they venture through the canyons and caverns of ancient ruins in historical locations, to reach the ultimate goal, retrieval of the Golden Mollusk, source of all universal power and a mighty fine trophy at that. With a finely tuned difficulty curve, from nice and easy, all the way to rock hard, just like old school platforming used to be. Canyon Capers will make you rely on your wits, your memory and at times, seat of the pants twitch gaming. SUPER PLATFORMING - Simple to play, hard to master classic retro platform gaming - Simple controls designed for phones - 50 levels each with 3 levels of completion, each with many ways to complete... find your best path to fame and riches - Race to the end, collect all the items and unlock the unique bomb levels - Unlock new characters rewards as you progress. Each has their own unique abilities as you complete the levels. 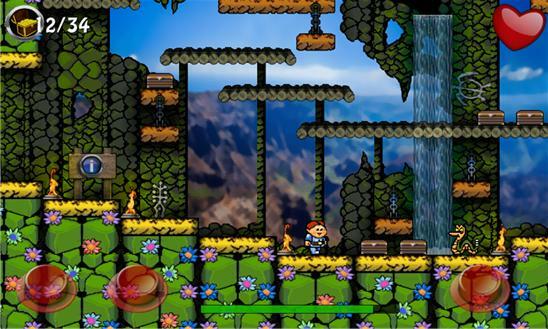 - Tongue in cheek nods to classic retro games - Tons of secrets and collectibles version 1.0.